It's been said that as long as you're near water, you'll never go hungry. Cattails have been hailed as "nature's supermarket" and arrowhead has been called the "swamp potato"; watercress graces the menus of the fanciest restaurants. But even Euell Gibbons, the father of the modern wild-food craze, makes a glaring omission in his forager's bible, Stalking the Wild Asparagus: There is not a single mention of stinging nettles. Stinging nettles are delicious, abundant, and oft-overlooked. And you don't even have to live in the sticks to find them. 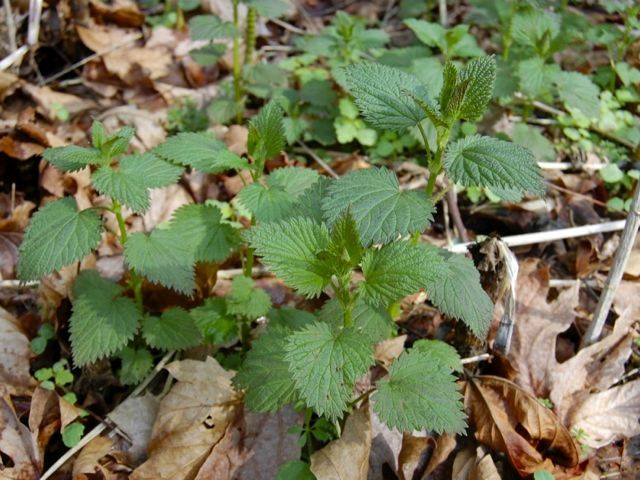 Stinging nettles (Urtica dioica) grow in swampy places and riparian corridors along streams throughout North America, Europe, Asia, and northern Africa. They resemble a mint, though they’re in their own botanical family (the Urticaceae). They’re easily identified by their pairs of deltoid (slightly triangular), dentate leaves (opposite-decussate in orientation), with fine spines covering the stems and leaves. In the Pacific Northwest, they first poke their little heads out of the alder and cottonwood duff in February or March, in search of spring’s first warming sun — depending on your neck of the woods, they'll be out a little earlier or later. This time of year, too, is when they are at their most tender and nutritious. (They're fine later in the year as well, although just a little stringier; they're better then for a pesto than a gratin). 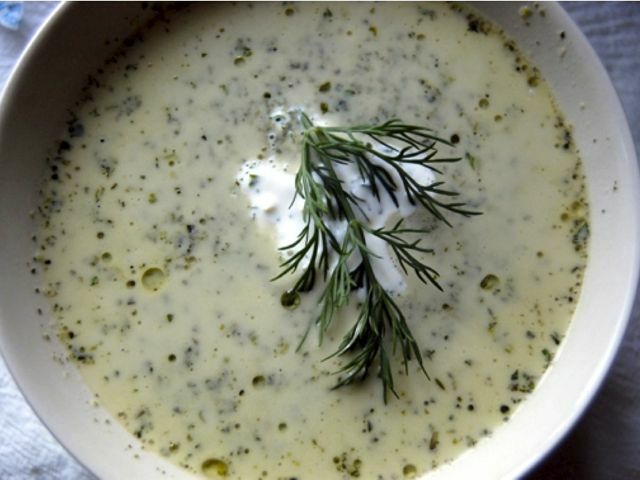 Nettles are an excellent source of protein, iron, and vitamins C and A.
Nettle soups are a mainstay of European cuisine: Scandinavian nässelsoppa, Italian zuppa di ortiche, Russian borsh s krapivoj. Himalayans stew them with rice and spices to make a thick porridge. Nettle cordials date back to ancient Rome. So why are nettles considered by so many to be merely fodder for thrill-seeking culinary enthusiasts or back-to-the-land survivalist types? I have a guess. In my years as a wetland biologist, I've often happened upon great swaths of stinging nettles. I'm a trained botanist; I can spot them from miles away. Yet in the beginning of every field season, I manage to graze my blithe knuckles across a patch of this armed herb, leaving me standing there with my lip out, wounded and whimpering. Then the sting sets in. Expletives ensue. True to their moniker, stinging nettles do pack a potent sting, delivered mercilessly by fine, silicate trichomes, which act as tiny syringes. The sting comes from the venom contained within the trichomes: a combination of histamine, serotonin, and formic acid (similar to the venom injected by biting Formica ants). The pain is a sharp, tingling sting, and on my skin, a brush with nettle results in small white bumps with reddish swelling. Scratching worsens the prickly bite, as it only works those dastardly needles and venom deeper into the dermis. To avoid this, one should always wear gloves when picking nettles, use a salad spinner and tongs to wash them, and then steam or blanch the greens in salted water to neutralize the venom before eating. Cooked nettles impart no sting whatsoever. The flavor of stinging nettles is hard to describe. When I was pregnant (and taking nettles for the iron and vitamins), I could swear they smelled fishy. It turns out I'm not the only who thinks this; plenty of pregnant women complain of this on reviews of various prenatal supplements that contain nettle. I did a little digging (pardon the pun) and found out that the roots of nettles smell of ammonia. Ammonia and fishy odors are both caused by trimethylamine. In low concentrations, it has a fishy odor; in higher concentrations, an ammonia odor. This is just an unsubstantiated hunch, though — I couldn't find any literature that suggests Urtica contains noticeable amounts of trimethylamine. This slightly fishy odor tends to dissipate somewhat when nettles are cooked. Nonetheless, I tend to stick to using them for very savory foods like pesto (subbing a wad of blanched nettles for half the basil) and gratins (using nettles instead of kale or Swiss chard), where liberal amounts of garlic and cheese will effectively mask any off-putting aroma. I guess I'd say the flavor is somewhat like a more iron-rich spinach, if that makes any sense. Nettles taste like fortification and hale nutriment; like grass-blood, in plant form. I hope you live near some wet woods or a soft streambank. If you don't, then maybe you'll be inspired to take a drive to the country for a free taste of fecundity straight from nature's produce section. Don't be afraid to get your feet wet, and you might find yourself a tasty dinner.